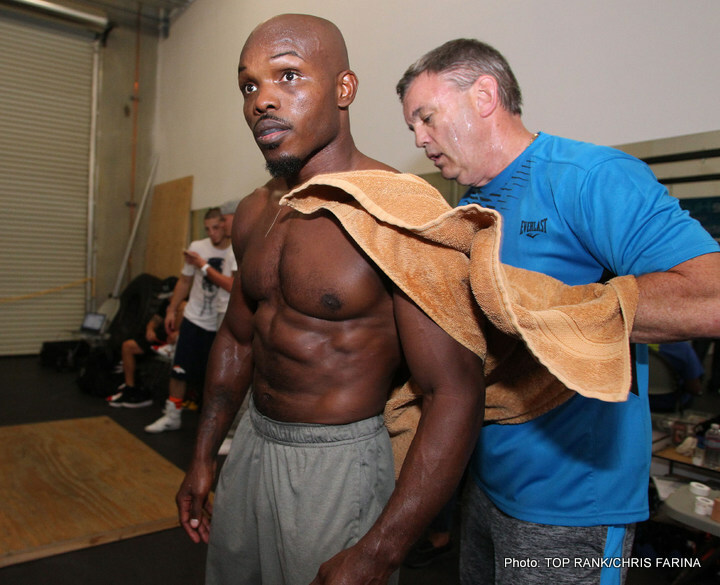 Did Timothy Bradley Embarrass Teddy Atlas? April 9, 2016 and what was billed as the final match of Manny Pacquiao’s luminous career came to a close without the expected fanfare. Much like Floyd Mayweather’s supposed retirement several months prior, the boxing world is not quite convinced Pacquiao will leave the sport. Interestingly, talk of Pacquiao’s final performance in the ring was not the main narrative of the night; boxing media instead was much more focused on Timothy Bradley’s alliance with new head trainer Teddy Atlas. Teddy Atlas, a long time ambassador to the sport of boxing, has had an esteemed career that includes training as an amateur with the legend Cus D’Amato, working with a young Mike Tyson, and training former champion Michael Moorer, the first-ever southpaw to win the heavyweight crown. In addition Atlas has maintained his standing as a leading voice in the sport as evidenced by his career as a boxing analyst andreporter for ESPN. In short, Atlas is a no nonsense coach, mentor, and trainer with the background, experience, and fortitude of a winner….well at least that’s what we were led to believe. When Timothy Bradley abruptly announced that he had left long time trainer Joel Diaz and hired Teddy Atlas as his new head trainer many in the boxing world saw it as either brilliant or ridiculous. Bradley has experienced unparalleled success under Joel Diaz winning multiple titles in several weight classes whilesuffering only one loss (and a disputed victory)toManny Pacquiao. The idea was that Atlas will take Bradley to the next level, give him the tools, skills, and intangiblesneeded to go from simply a good fighter to a great fighter. The pairing seemed to produce immediate results as Bradley, who is not known for his power, scored an unexpected stoppage of perennial contender Brandon Rios. Following this impressive victory Teddy Atlas vowed to continue to fine tune Bradley; Atlas talked the talk and walked the walk and the boxing world wanted to see more from the new dynamic duo. Though there was interest in seeing what the duo would do next no one expected that Bradley would get the call for a third match with Manny Pacquiao. To most observers Bradley had already been twice defeated by Pacquiao, the need for a third fight seemed irrelevant. But apparently the original scoring “error” and the charisma of Teddy Atlas was enough to give a third fight a green light. Pacquiao could have picked any opponentand many wish he had but nevertheless this wasan opportunity to see if Atlas could do what Joel Diaz could not…..guide Tim Bradley to a true and indisputable victory over Manny Pacquiao! Heading into the fight, Pacquiao, still suffering the aftermath of his loss to Floyd Mayweather, was at a point where he was simply looking to bounce back with a solid win or if all else fails find a soft spot to land. His career is pretty much complete and most pundits consider him to now be past prime, older, slower, and vulnerable. This in fact was Bradley’s best chance to defeat Pacquiao, Manny is at his lowest, a great performance could have easily embedded Timothy Bradley’s name among the best of this era but as it turns out the boxing world bore witness to the same old Tim Bradley. Team Bradley claimed they were bettert han ever, that this was their time to shine, yet he performed worse in this match than he did in the two previous fights with Pacquiao! No amount of Teddy Atlas’ corner speech, fiery instructions, or “you can do it” sermons could elevate Bradley’s lackluster performance. Bradley showed minimal improvement with limited ability to make adjustments during the fight. What’s worse is that Floyd Mayweather laid down a blueprint on how to beat Pacquiao yetTeam Bradley had no idea how to use it! Teddy Atlas has stated on several occasions that he agreed to train Bradley because Tim behaves like a fighter, acts like a fighter, and is willing to listen and learn like a fighter. But Bradley in my opinion did not behave like a fighter as he seemed content and willing to accept defeat. Pacquiao knocked Bradley down twice on this night and each time Bradley returned to his corner with his head bowed, confused, befuddled, and mentally defeated. This is where Atlas was supposed to be at his best, motivating his fighter to continue, to believe in himself, to overcome the odds!Yet Bradleyseemed to zone out; Atlas for all his passion and theatrics was rendered obsolete. Even more disappointing than Bradley’s performance in the ring was his post-fight interview with HBO’s Max Kellerman. Bradley seemed more interested in scheduling a breakfast date with Pacquiao than he did in discussing the fight! Teddy Atlas meanwhile stood in the background visibly angry and probably embarrassed that his fighter was laughing and giggling at replays of him getting punched in the face! Normally Teddy Atlas is talkative and extreme but he had nothing to say barring this display from his fighter. Overall Timothy Bradley’s performance in my opinion was disappointing and embarrassing. In three fights he appeared to get worse rather than better. He got hit more, knocked down, and seemed to incorporate nothing from his previous experience fighting Pacquiao. Worse of all he did not behave like a fighter during the fight or after, he fought in a predictable pattern, fought with no confidence, accepted defeat early, celebrated his own loss, and possibly embarrassed his trainer. As a result I believe that the Atlas-Bradley relationship has come to an end; I don’t expect to see another pairing of this not so dynamic duo. I wish them both the best of luck and despite my criticism I am stillinterested in what they do next! You are here: Home / Boxing News / Did Timothy Bradley Embarrass Teddy Atlas?